Two of Western Australia’s growing group of brewpubs have banded together to dominate Australia’s world renown beer competition. 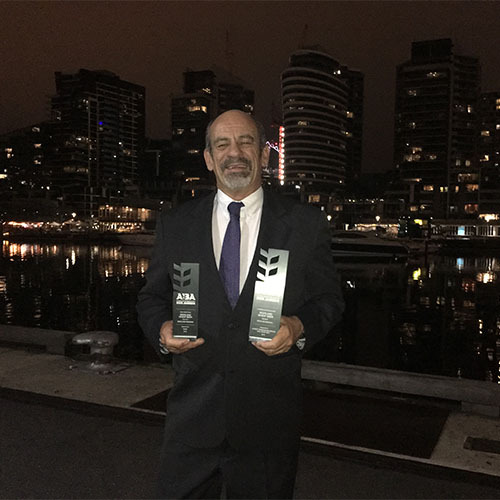 Northbridge Brewing Company and Whitfords Brewing Co, which operate under the Beerland label, won the major prize at the Australian International Beer Awards in Melbourne. And apart from the group’s Wheat winning Champion Beer, it also collected gold medals for it Lager (Pilsner category), IPA (New World Strong Pale Ale), Alte Schule Kellerbier (European Style Ale) as well as collecting two major medals in the Wheat Beer class as both NBC and WBC lodged entries. Head brewer Ken Arrowsmith was in Melbourne to collect the prizes and said it was reward for the work put into establishing the two breweries, which produce only about 150,000 litres each per year. “This is very much a team effort and it is testament to the efforts of Andrew Dean and Tom Fleay have put in to ensure the quality of our beer,” Arrowsmith said. “For Beerland Brewing to be recognised as one of the best in our industry with such a prestigious award is both extremely humbling and delightfully surprising. “Our talented team has been working very hard to craft a unique core range of Beerland beer at our breweries. Australia’s craft beer culture has become extremely sophisticated since we opened our doors in Northbridge four years ago. We are excited that our range lives up to these expectations and we’re now able to get creative with our small batch seasonal brews and uncover some amazing gems in the process,” he said. Another WA brewery, Nail, was won Champion Beer in the reduced alcohol class for its 3.4% MVP. It followed Nail picking up a silver medal at the recent World Beer Cup in Nashville for its VPA. Colonial Brewing’s South Sour won the Champion Award for best label design. The brewery also got a gold medal in the class for its Porter. There were 2178 beers from 359 breweries entered in this year’s awards.